My previous blog post cover the delicate issue of early American 'restrooms.' The idea of going in a chamber pot is enough to convince me that I would not do well living in the past. Time machines are great, but only if I can come home at night for a hot shower and a flushable toilet. But what if the time machine malfunctioned and I was forced to have a pre-revolution sleep-over, what would my accommodations be like? Let's find out. So, I just read a fantastic book called Dissenting Bodies by Martha Finch. It's a superb reference on the daily lives of our Great Migration ancestors. She delves into the nitty-gritty of daily life for these hardy people, including their bedroom furniture. Have you ever read a pre-1700 estate inventory? They are amazing documents which frequently feature all things bedding. Every sheet and pillowcase was documented and bequeathed to someone. These wills also give details on various types of beds, although I have yet to see a Beauty Rest listed. The original colonist built small single room houses. A 20 x 20 square house might be home to ten people. Clearly each of these people did not have a bed to themselves. There was a lot of sharing going on. What you slept on had a lot to do with your economic status and your rank in the household. Parents typically had the best bed, servants the least comfortable. When houses began to expand into the two room hall and parlor style, the parents moved their bed and their best furniture into the parlor, everyone else slept in the hall. Babies usually slept in a cradle near it's mother. Young children often slept on a trundle bed near their parents. Older children and servants slept in the hall or in the loft built inside the house. Privacy was all but nonexistent. The parents, if they had the means, might have a bed with curtains or hangings around it, providing some degree of privacy. According to Finch, few people at the end of the 17th century slept alone. Everyone shared a bed with someone. A pallet was probably just as awful as it sounds. A flock bed was basically a coarse linen 'bag' filled with rags and straw. This would be placed directly on the floor. Depending on it's size it might be shared by several people. This was a bed to aspire to, a linen sack filled with feathers. I'm not sure how many birds had to give up their feathers to make a bed, but I'm betting it was alot. If you were lucky, your bed was not on the floor but placed on a bedstead. Again, you got what you paid for. The bed might be little more than a wooden frame strung with rope. The finer beds had headboards and foot boards and the best beds had an upper frame from which could be hung curtains. The curtains afforded a small bit of privacy and keep out drafts. A settle bed was a bench by day, but opened into a bed at night, thus making the most of the small space. A trundle was a small bed frame that was pushed under a larger bedstead to get it out of the way when not in use. Linens also were listed in the probate inventories along with the beds. Sheets were made of linen, in various degrees of quality. Like today, the colonist slept covered first with a sheet and then a blanket. 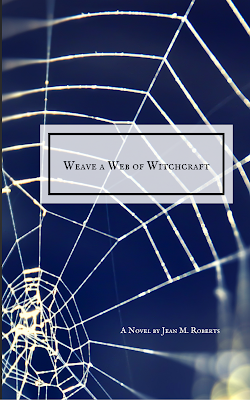 A coverlet, if they had one, went on top of the blanket. The sleeper had a pillow in a pillow case. There might also be an item called a bolster on the bed. No one seems to be exactly sure what a bolster was but Finch guesses it might have meant an extra firm mattress or a some type of pillow used to give extra support to the head. It seems hard to believe, but a bed could denote your status to visitors. 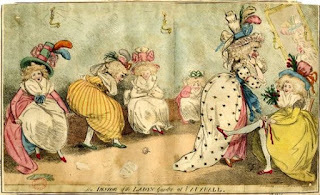 Guest were entertained in the parlor when the housewife showed off her most prized possessions, including her bed. Rich embroidered fabrics let everyone know that you were someone to be reckoned with. Beds and linen were so valuable that they often made up a sizable portion of a colonist's estate. Martha Finch, Dissenting Bodies , (New York : Columbia University Press, 2010). Questions you always wanted to ask about life in Colonial New England: Where did they use 'The Bathroom'? As a lover of history as well as genealogy, I try to imagine what the day to day life of my ancestors was like. Anyone who says they'd love to live in the past, to my mind, is crazy. Life was hard, dangerous and very smelly. I have done a lot of research on daily life in early New England for my recently published book, Weave a Web of Witchcraft, set in the 1650s. So, I thought I write some articles based on my research. Today I'm blogging about 'the bog'.What's a bog you ask. It's British slang for the toilet, yes you heard me right the toilet, bathroom, restroom, take your pick. Culturally we have an amazing amount of slang words for the toilet. There's polite slang like "the ladies." There's rude slang, which I won't repeat here, but some of it's pretty funny, also names like "the John." There is also some old names like privy, jakes, loo, WC and latrine. These days when we speak about going to the toilet we are referring to indoor toilets with plumbing and running hot and cold water. But what did people, our ancestors, do before indoor amenities were developed. How and where did they go? These days most of us, and I'm speaking as a female here, are rather squeamish about all things having to do with elimination of bodily waste. We can't even say the words, we have to use special code numbers; number one and number two. Even then, saying number two can make most of us blush. Some of us have bladders so shy that we cannot pee in a public restroom never mind do the other thing. Recently, a new product came on the market that you spray into the toilet when you have to 'launch a rocket' and it blocks creates a barrier which locks in any accompanying odors. Speaking of smells, tooting in public has got to be one of the most humiliating things a person can do, at least for anyone over the age of 12. Were our ancestors as fastidious? Did our GGGGG grandmothers blush with shame if they let one loose in company. Come on you know you really want to know. So, here's what I found out about our ancestors and their bogs. 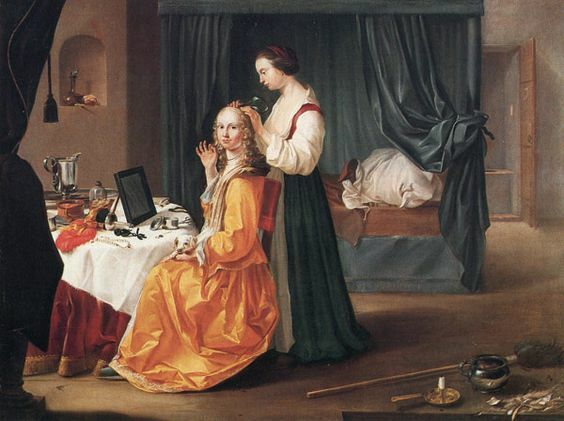 painting is called Lady at her Toilet, c. 1650. 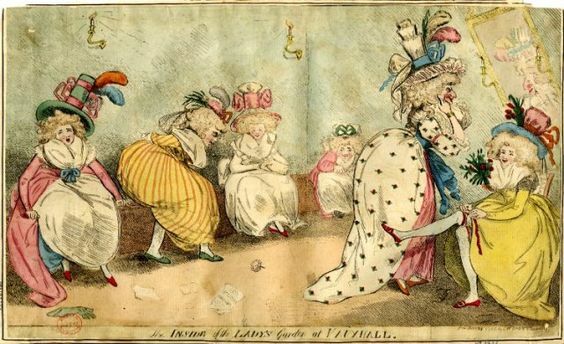 My interest lies with the average Joe, not the hoi poloi, although I really would like to know how Marie Antoinette used the potty while wearing one of those fantastical dresses. 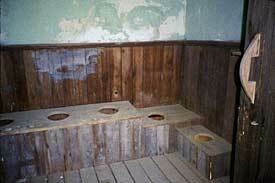 No matter how wealthy you were in the 1600s you still did not have indoor plumbing, you just had fancier options. Anyway, I want to focus on our ancestors who immigrated to New England and other English colonies in the years before indoor plumbing was common. These people had three choices when nature beckoned. Plein Air, the chamber pot or a privy. Ah, the great outdoors. Need to pee, find a tree, or a bush or a rock. Farmers often toiled in fields far from home. Did they hoof it all the to their house or just drop their drawers. I think you know the answer to that. There was no toilet paper yet, so you just grabbed a handful of leaves or grass, whatever was handy. Did you know there is a museum in Prague dedicated to toilets, who knew. They have over 2000 examples of chamber pots and other vessels, large and small. 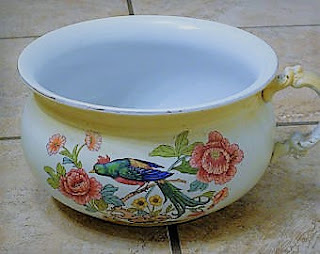 Chamber pots have been used for centuries. The were usually made of pottery or porcelain with a handle on one side. To make use of the pot, one would simple squat over it and, well you know. This was handy on those cold winter nights or days, when the thought of going outside made you shudder. Chamber pots could be slotted into a seat so that one did not have to squat down, rather you simple sat, like on today's pottys. So the chamber pot option doesn't sound too bad, except for one thing. The size of your house. Now the early immigrants to New England lived in very small houses. The first houses in Plymouth Plantation were small one room buildings. The family socialized, cooked, ate, worked, slept and did their 'business' all in the same room. And, these families might be a father, mother and 10-12 children and possibly a servant or two. That's a lot of poop, and a lot of people sitting around while you pooping. That tree is sounding pretty good right now. I can't imagine the lack of privacy in these people's lives. And the smell, don't get me started on that. How did they survive the stink of each other. Thank God for option three, the privy. The privy, better know to us as the outhouse, could be as simple as a hole in the ground with a board over it. There are websites that can give you 'off the grid' types instructions in building and maintaining an outhouse. It begins with a deep, about six feet, hole in the ground. You need a platform with one or more openings, some walls and a roof and bam your in business and you can do your business in private. Some of our ancestors built elaborate outhouses with multiple 'seats' for bums of various sizes. Sometimes the outhouse were gender specific; one for females one for males. There are examples of privies that looked like miniature houses built of brick or with wainscoting and decorative finishes. One thing they did not have was heat! A well dug privy could last a long time. Some folk put wood ashes over the 'deposits' to try to manage the smell, but lets face it, in the heat of summer, it must have been overwhelming. Still you were on your own, unless you weren't. Let's say you were at a Church service or a party at an elegant home. The privy might be quite large and accommodate multiple patrons. There were no partitions to offer privacy. I suppose you just made the best of it and took the time to gossip or critique the sermon. As I said earlier, toilet paper is a pretty modern invention. What did our ancestors do? According to the website the Plummer, vegetation was the most available option. According to them, many Americans used dried corncobs to clean themselves. This does not sound the least bit comfortable, rather like using sandpaper to my mind. Once paper, as in newspaper or books, became available it was also employed, but in early America paper was rare and I doubt it would have been wasted in that way. There are people today who excavate old privies. People tossed garbage into them, which today are valuable artifacts. Something to think about the next time you are seated in your warm bathroom. If you are looking for something to read while you complete you transaction, may I recommend my book, its a great read, but if you don't like it...you can still put it to good use.